From August 2 to August 6, 2008, I was invited to join small batch distiller, David Suro of tequila Siembra AzÃºl, and a host of other educators and key people studying the cultural, anthropological, historical, and ecological aspects of the tequila industry in the beautiful Highlands of Jalisco, Mexico. We would concentrate on touring distilleries specifically in Arandas and Atotonilco. David's plan was to gather these brilliant minds together in one place and videotape a round table discussion of the issues currently affecting the Los Altos region. Among the participants was Doctor of Anthropolgy, JosÃ© de JesÃºs HernÃ¡ndez LÃ³pez (Pepe to his friends) from the Centro Universitario de Los Altos. He would be, and still is, my guide for this investigation. Is your favorite brand of tequila eco-friendly, or are you directly contributing to the uncontrolled watershed pollution of the Paisaje Agavero by supporting your brand's total disregard for the environment? The time has come to not only drink responsibly, but to also think responsibly and purchase accordingly. 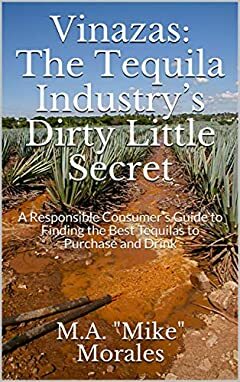 This book is here to help you do just that - become a better informed consumer of agave spirits. M.A. "Mike" Morales is a tequila tastemaker and agave spirit influencer. His long-running spirits review show on www.TequilaAficionado.com, Sipping Off the Cuff, has run for over 1000 episodes and counting, reviewing tequila, mezcal, sotol, raicilla, and bacanora. His experience and expertise in the agave spirits industry has made him a sought-after consultant, experienced journalist, and significant source for many national and international publications. Mike has been a life-long bodybuilder and die-hard Dodgers fan, enjoys training table food, good cigars, fine living and traveling with his family, 4 cats and 3-legged dog.